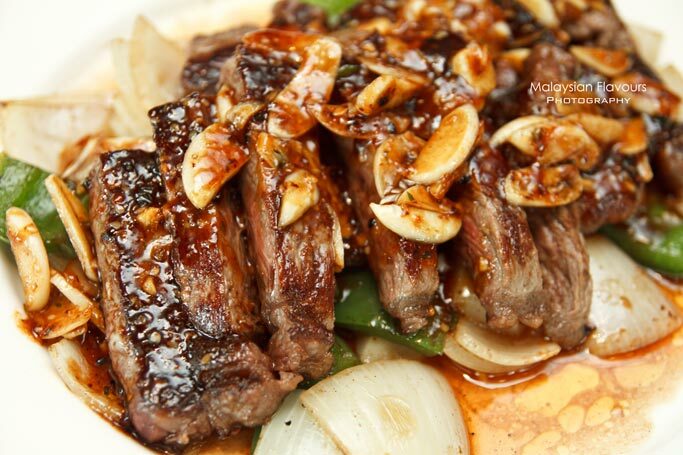 To us, nothing is better than having a great meal during weekend with friends and family. 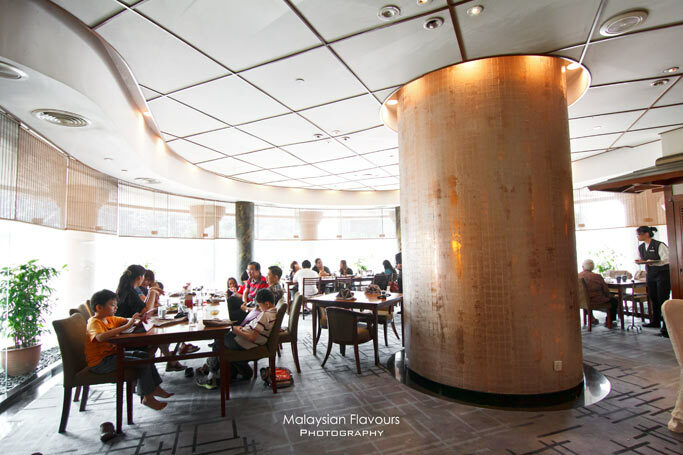 Now, we can cherish our beautiful Saturday and Sunday afternoon with Japanese Weekend Buffet Brunch at Sagano Restaurant, Renaissance Kuala Lumpur Hotel. 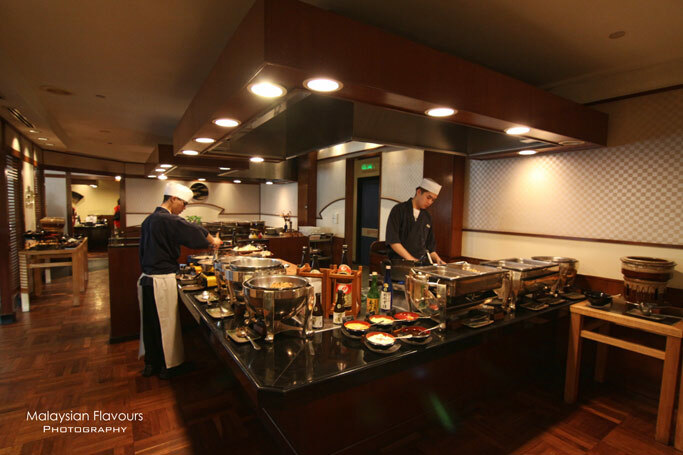 Sagano restaurant boasts a spacious and calm interior, and able to accomodate about 130 persons at one time. Definitely a good location for gathering, parties or corporate functions. There is three Tatami rooms, one Teppan Room and one private dining room in addition to the main dining area of the restaurant. 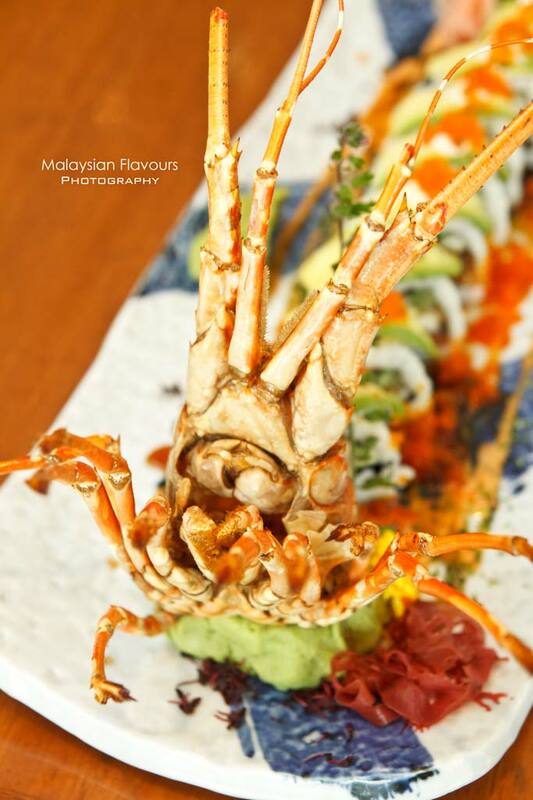 The weekend Japanese brunch buffet is priced at RM103++ per pax, and is served throughout 12noon to 2.30pm. 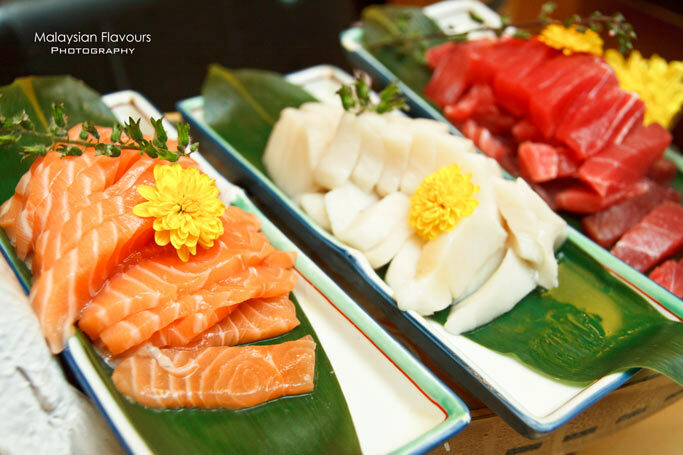 An extensive array of authentic Japanese delicacies are put up by the chefs in three different rooms to section the starter, mains and desserts. Starter comprises of garden greens with ponzu wasabi dressing & mustard mayonaise, chuuka fu idako (simmered and marinated baby octopus in sweet sesame flavoured sauce), edamame, seafood on ice, sashimi and sushi. 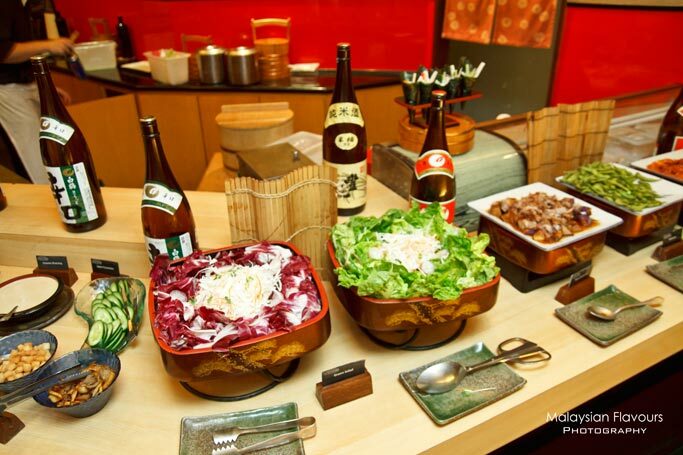 Continue with a range of hotpot including seafood nabe, sukiyaki, and oden. 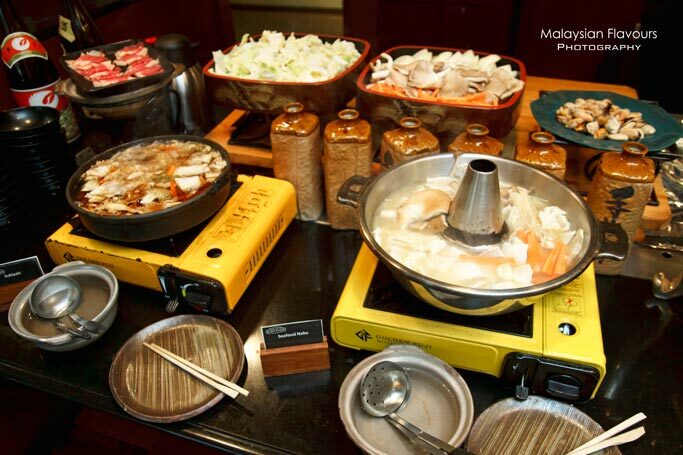 Thin slices of beef, chicken and seafood are available for shabu-shabu experience using the sukiyaki pot. 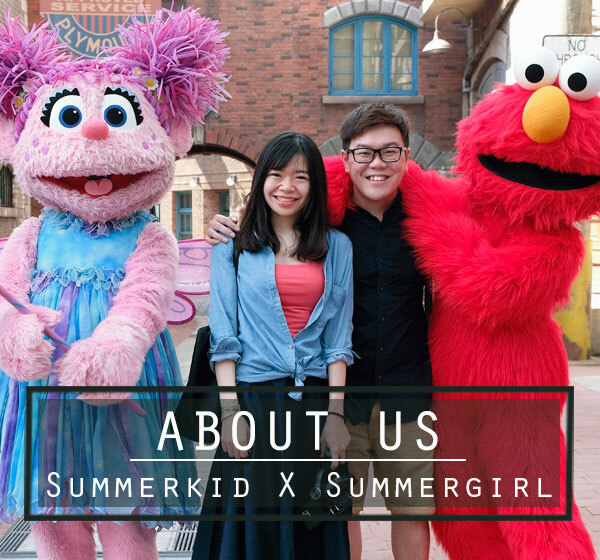 Summergirl like the oden soup, for all the ingredients has plumply infused with savoury essence of the soup. Moving on to pile our plates with hot dishes such as Kaisen Kushi Age, Chawan mushi, Shaki Kabuti Shio Yaki, Yaki Tori, Japanese Fried noodle and Garlic Fried Rice, just to name a few. 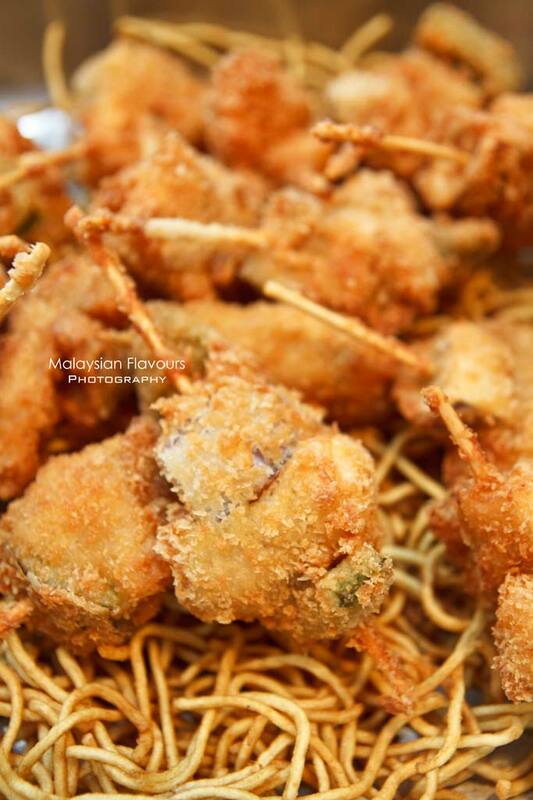 Kaisen Kushi Age is the must try, having fleshy soft fish fillet battered with breadcrumbs and deep fried to golden brown to result in a crispy outside, juicy inside appetizing snack. Not to forget is hot off the teppan plate specialities for example like Salmon Teppan, Chicken Teppan, Gyuniku Teppan, Ebi Teppan and Yasai Teppan. 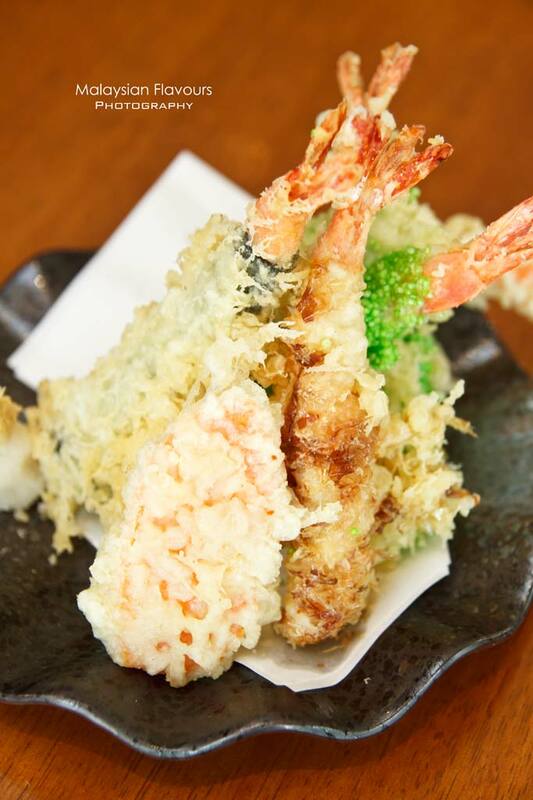 Or hop over to tempura section for crispy and crunchy munch of ebi tempura and vegetable tempura with Japanese soy sauce with grated white raddish. 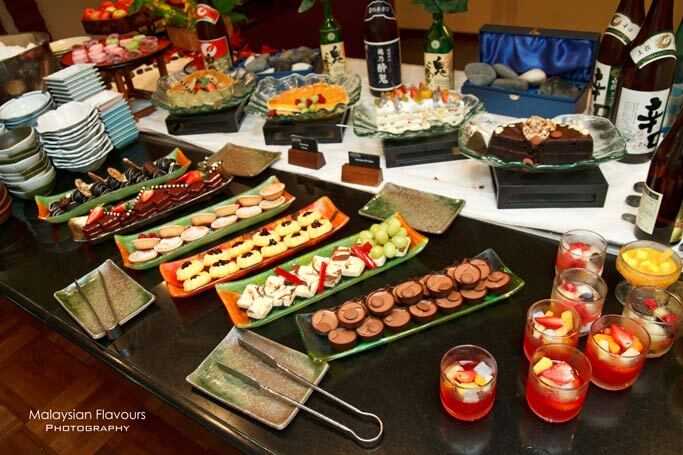 Save some room for desserts that cover a selection of ice cream, fresh fruits, green tea cotton cheese cake, chocolate tart, mochi with red bean soup, deep fried pineapple, pudding and spongy fruit cake. Apart from buffet, Sagano Restaurant also serves a medley of innovative ala carte choices to suit even the most discerning palate. 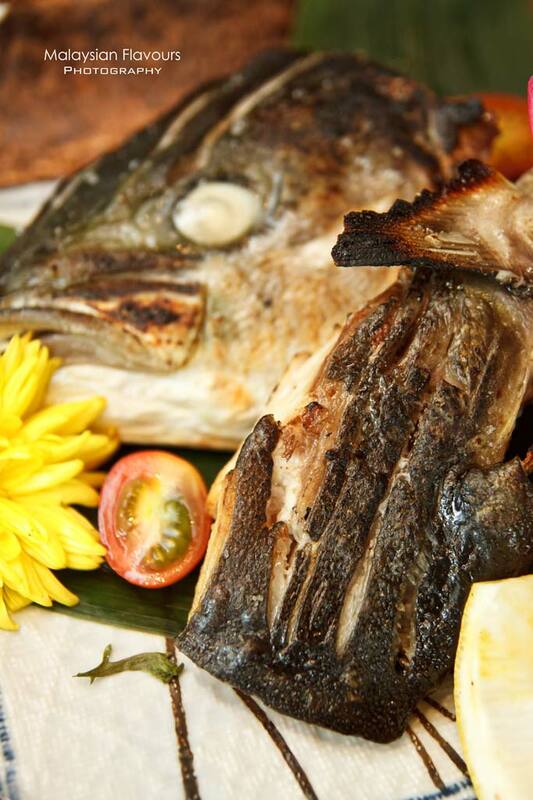 Soft shell crab wrapped in rice paper, stoen grilled squid with mayonaise, spicy and cour seafood soup, steamed clear soup with mix mushrooms are among the exciting flavours on menu. 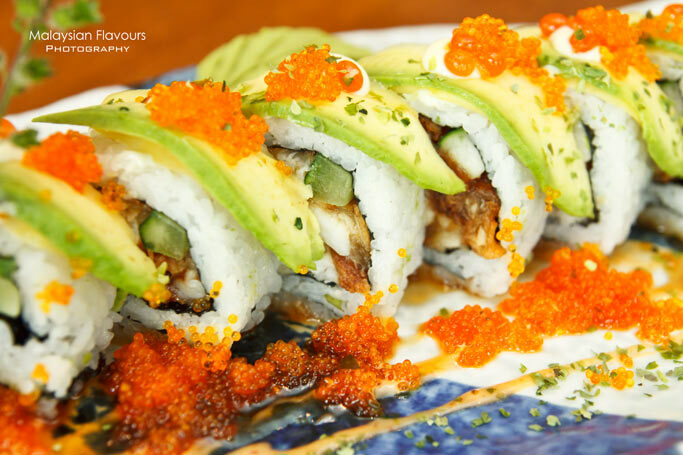 Do not miss out the President roll and Sagano’s most popular Lobster roll, delicately presented with colours and flavours. Price for their speical sushi rolls ranges from RM12++ for a serving of Furofuki daikon to RM200++ for a full course of Sagano Kaiseki. 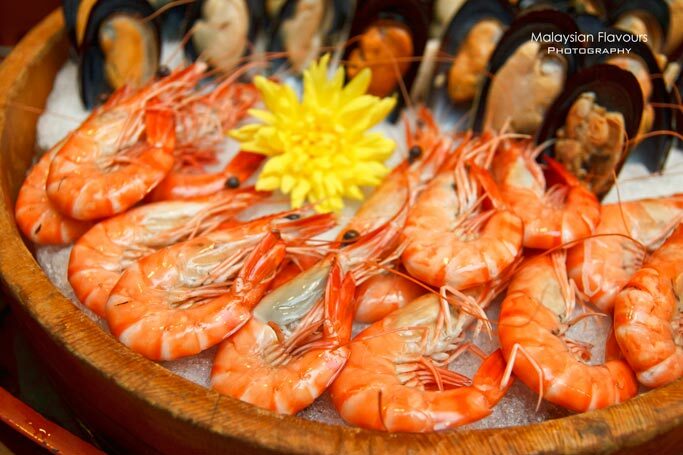 Check out also the Saturday evening Dinner Buffet from 6.30pm to 10.30pm and Executive Lunch Buffet from 12noon to 2.30pm. 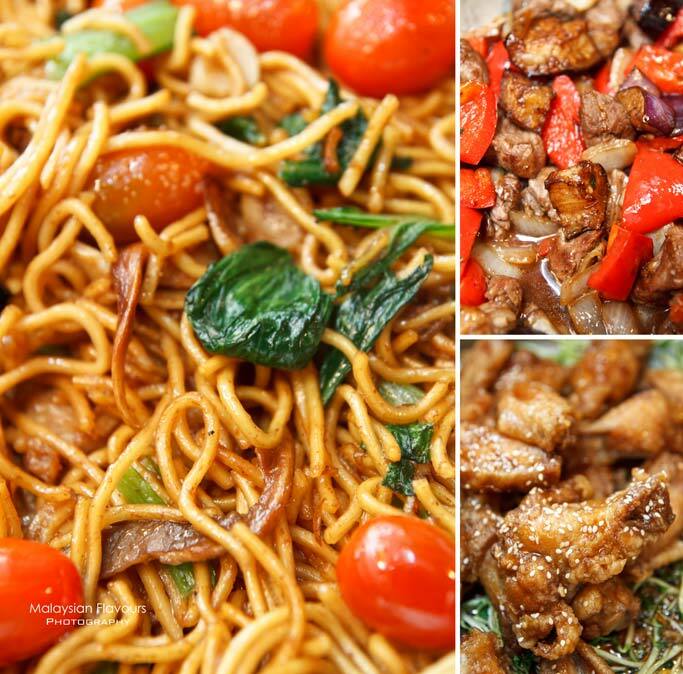 With so many choices of ala carte and buffet type, there is surely something for everyone. Drop by for an escape during office lunch or for a leisure weekend breaks. For reservations or enquiries, please call 03-2162 2233 or email rhi.kulrn.fb@renaissancehotels.com.